Thank you so much for those of you who took the time to join me for coffee the last few weeks. As we sit down yet another week for a friendly chat over our virtual cup of coffee (weird thought), I would probably let you know from the beginning that I am exhausted. In fact, I haven't really been feeling up to talking, but I will do my best to share with you what has been going on in my life. I would tell you that I started doing Jillian's 30 day shred workout plan this week...and as a result I feel like I was in a car wreck. Seriously. My husband laughs at me when I try to get up off the couch! It hurts! But I have been trying to be more disciplined about reading my bible, getting good sleep, and keeping my body healthy. I'm off to a painful but good start. :)I would tell you that I started tutoring a wonderful Christian woman on Thursday nights, and even though I went into it thinking I was going to be a blessing to her, she has ended up being an amazing encouragement and blessing to me.I would smile for a moment as I tell you that I LOVE random acts of sweetness. I like them even more when they come in the mail! I, along with many others, received the sweetest card of encouragement this week from Sarah Yoder at Life on Walnut Street. I have been blessed to be a part of a great group of Christian blogging women who are a daily inspiration to me! Does that list control me, or do I control it? Lately, it has been controlling me, and I need to change that. How important are the things on my "to do" list in light of eternity? Hebrews 12:2-3 Let us fix our eyes on Jesus, the author and perfecter of our faith, who for the joy that was set before him, endured the cross, scorning its shame, and sat down at the right hand of the throne of God. Consider Him who endured such opposition from sinful men, so that you will not grow weary and lose heart. 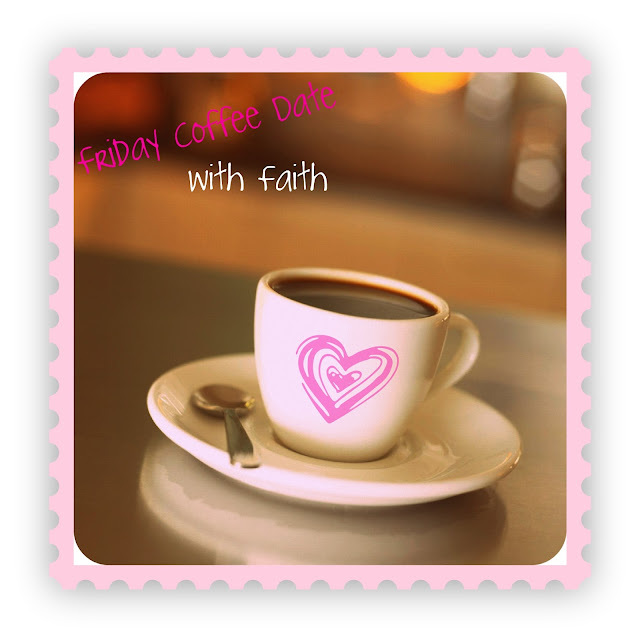 I think you're wonderful, Faith! Hope you have a lovely, blessed day! I have to keep telling myself that the "things" on my list will still be there tomorrow! I wrote a poem about making lists and posted it on my blog today, referring to your post. http://filledwithretirement.blogspot.com/2012/02/being-responsible-and-making-list.html The lists never end!! I remember feeling that being a good teacher means never feeling "caught up"
Hey Sweet Girl! I'm glad that the card made you smile! thanks again for another great coffee date! Hope this week is better for you!